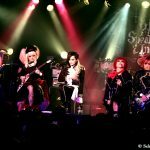 VG: Vkei-Guide is a web magazine that guides overseas people to Japan through the Visual-kei music culture. First of all, what do you associate with winter in Japan? Nimo: Kotatsu (a small table with an electric heater underneath and covered by a quilt) and mandarin oranges. kazuya: Otoshidama (New Year’s gift money), it is only in the New Year though (laughs). SHUN. : Skiing, snowboarding, and snowman. ZERO: It is the season where fathers tell a lie to their children (laughs). When I was little, I accidentally knew that Santa Claus was my father, so I was not shocked by it. TSUKASA: Hatsumode (first visit of the year to a shrine or a temple during the New Year). 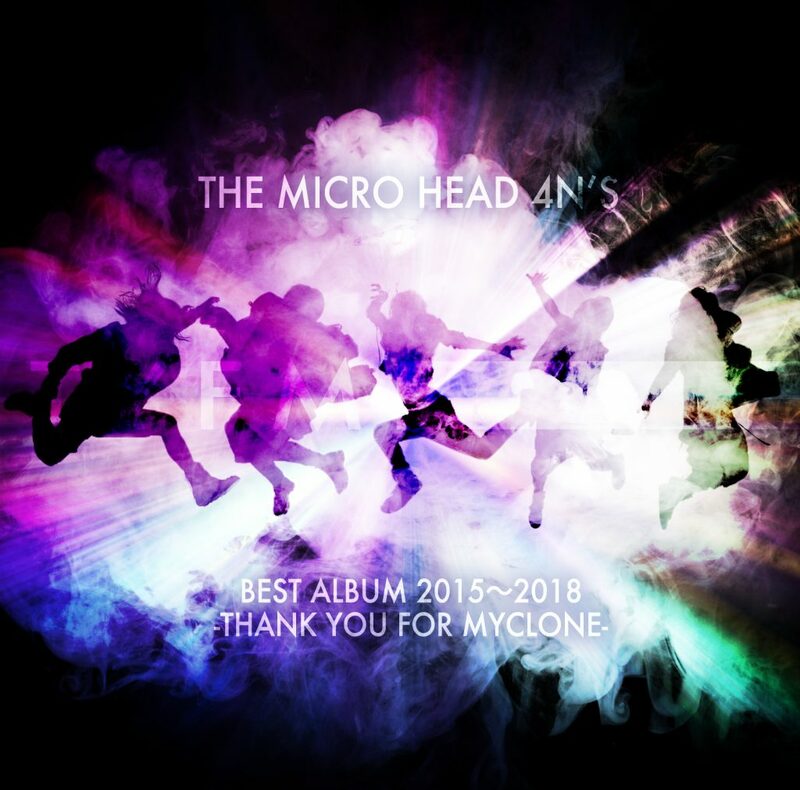 VG: The best album for the 3 years “BEST ALBUM 2015～2018 ‐THANK YOU FOR MYCLONE-“ will be released on November 28. Please let us know how you selected the songs. kazuya: We selected representative songs from our past releases, and new songs in addition to songs selected by the members. Furthermore, we also chose a remake of “Raimei” which was a memorable song of which the demo was made for the first time since Nimo joined the band. VG: The best album contains 2 new songs, “PLAY” and “in the sky”. Please tell us your favourite part of each song. kazuya: Both the songs are pop but a bit painful. I think that the interesting point is that SHUN. and ZERO wrote the lyrics. SHUN. : I think that the emotional part of the music and the lyrics of “in the sky” showed the new character of the band. As for “PLAY”, the straightforward lyrics and the pop music brought out a new side to our band. 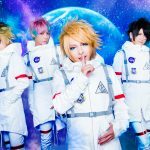 ZERO: “PLAY” is the most brilliant pop song in THE MICRO HEAD 4N’S history. I wrote the lyrics for “in the sky”, and it took over “SEVENTH COLOR” of which I wrote the lyrics for. TSUKASA: I chose these songs because I am emotionally involved in them. Also, from my point of view as a drummer, both songs have peculiar rhythms and tams, so you never get tired of the mood of both the songs. VG: Why did you choose “SEVENTH COLOR” for the new MV, instead of one of the new songs? 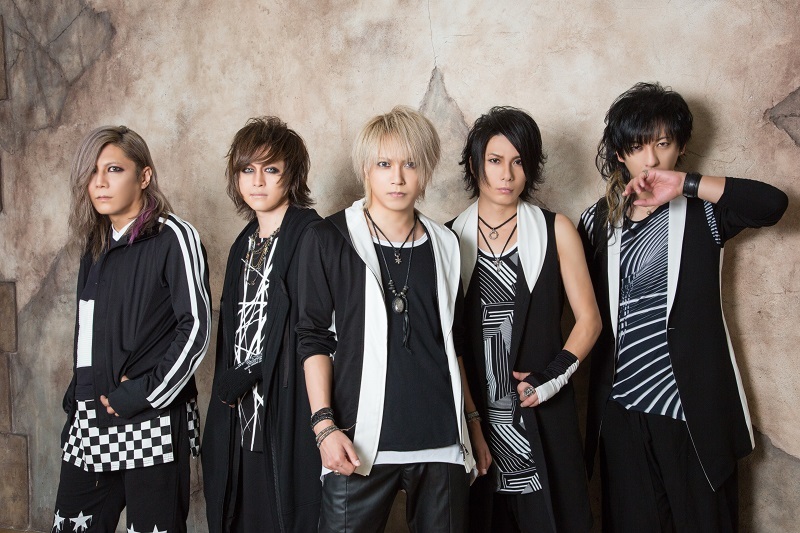 ZERO: The reason why we chose this song was we held a song election which was planned for the second press release of “Nemureru Mori no Prelude ~REVOIR~”, and this song won the election for the song that the fans wanted to see the MV among the songs released during the period of the current members. VG: As for the design of the album, there are silhouette images of the members jumping. What does this image indicate? ZERO: We have been stepping up further to the top, especially with the current five members, so I wanted to express the movement and changes. Nimo: It is very difficult to choose, though I would have to say “SCANDALOUS”. It all began with this song. kazuya: “Vanilla” is not included in this album, but I flatter myself that I made such a flattering song. SHUN. It is “SCANDALOUS”. I feel that everything started with this song, and I always liked electronic dance music. 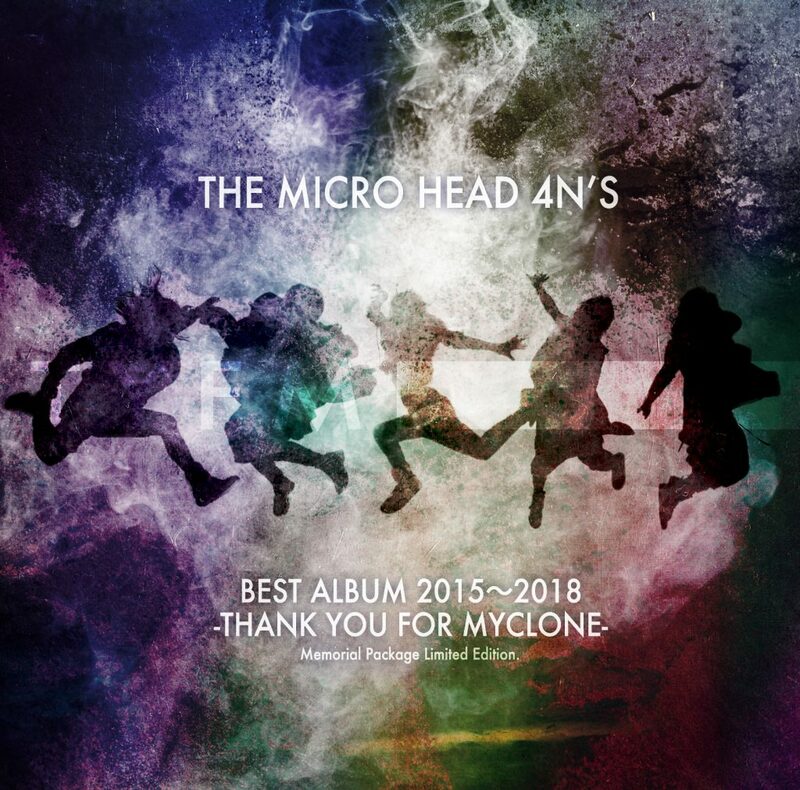 Also I was able to vision the new THE MICRO HEAD 4N’S when this song was made. ZERO: “SCANDALOUS” for me as well. Needless to say, this is the first song of the current chapter, so it contains our dream and hope, and also, excitement which would continue from there. TSUKASA: “SEVENTH COLOR”. I was wondering which to choose, this song or “Gingatetsudou no Yoru”, because both the songs have up-tempo and make both the fans and us bright and excited, and also, it made me smile. VG: Which live was the most impressive for you during the three years? Please also tell us the reason. Nimo: At CHELSEA HOTEL on October 10 when I joined THE MICRO HEAD 4N’S, because it was the moment when I met MYCLONES for the first time. kazuya: I think the live when Nimo joined in. We had a lot of meetings after the live (laughs). SHUN. : The event live at CLUB CITTA Kawasaki. The live without the vocalist was the unprecedented experience in my life. ZERO: The event live at CLUB CITTA Kawasaki on August 19, 2017. We had to perform without Nimo due to his physical deconditioning on that day. I was very worried because the final show of this oneman tour would be held only 1 week after this event live. Consequently, the fans who came to the venue and the audience who came to see other bands greeted us with a warm welcome and it made the excitement that I could not imagine. I engrave my gratitude and emotion I felt that day even now. TSUKASA: This is just something personal, for me it is the live at Yamagata in the summer of 2017. I was so glad that I was able to perform in Yamagata for the first time after THE MICRO HEAD 4N’S was formed, and I was able to show THE MICRO HEAD 4N’S to everyone who lived in my hometown including my parents. Of course, I am happy lives in Tohoku area tend to be held in largely populated Sendai, but I was totally glad that I was able to show the performance in my hometown. VG: You recently went to Thailand for overseas live performance. Please share us something you enjoyed there or any funny episodes. Nimo: It was my first experience to sing for a TV, so it was very impressive (laughs). kazuya: I always think when I perform in foreign countries, when I see the audience singing in unison at our lives, it sort of gives me this wondering feel that the overseas fans know my songs I have made at home, which fulfilled me with happy emotion. SHUN. : I was so happy that the audience’s response in Thailand was greater than I expected. I was also glad that Japanese fans came to Thailand to see our performance. Furthermore, I bought a stuffed toy dog (laughs). 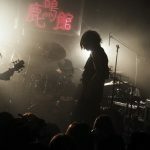 ZERO: Other bands in Thailand played my ex-band’s song in addition to THE MICRO HEAD 4N’S song. I felt thankful towards the bands in the foreign country, which followed my footsteps like that. 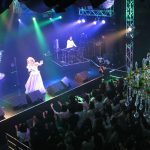 TSUKASA: Of course the live, but I also enjoyed a female singer’s Kitasakaba” (a Japanese famous enka song) with live music when we had the last dinner in Thailand. As we Japanese were excited with the music while eating, the musicians might have sung because we were there. I was so happy. I felt I had to learn from this experience. It was a grateful experience. VG: Which country do you want to go next? And what do you want to do there? Nimo: I want to go to many places, but especially want to go to America because I have never been there. I want to go on an extravagant spree at a casino. I don’t usually gamble at all though (laughs). kazuya: I want to go wherever anyone is waiting for us. My life’s philosophy is ‘experience’ so. SHUN. : I want to go to Machu Picchu in Peru and, also Prague in Czech Republic. I have not been there although Mr. Dorian Sukegawa recommended me. ZERO: As I have never crossed the equator, I want to go to the Southern Hemisphere. TSUKASA: I want to see the pyramid in Egypt and auroras somewhere. Anywhere is okay, as long as I could see it at the spot. Furthermore, I want to exchange messages with UFO and/or aliens. I totally believe the existence of them these days! I am sure that the aliens exist! I emphasize the idea that UFO would be the time machine by which time travelers from the future came to the earth although I am not sure who is the owner of UFO, aliens or earthmen. VG: The last nationwide tour with the current members will start from December. Please give your message to your fans. Nimo: I will put all my feelings into this compilation tour. I want to make the best lives ever in which I can put all my emotions into. Let’s share the deeply impressive time together! kazuya: This nationwide tour will be the last with the current members, but we want to hold many lives until the last live in spring and bring our utmost ability in this second chapter performance. SHUN. : This is the last nationwide tour with the current members, so I want you to burn your memory for each live. ZERO: I think there comes a time where we have to say good bye to things, and I think this chapter is one of them. There are things that we can only do now and things that we can only show now, and I want to cherish them not to leave undone. I surely think that we can have the best live if we and the fans enjoy with the feeling that each day will be the last live. We cannot end without excitement! TSUKASA: Although you might have sorrowful impression if we say this is the last live with the current members, I rather want you to cherish the time. We including Nimo, will never stop. Please support all of the members!! 【Vkei-News】DIAURA’s First Asia Tour “New Identity” to be Held! 【Vkei News】Diva Kaya to challenge in crowdfunding for DIVA special cover album “DRESS”! !